HTRI software training is designed for process design specialist who involved in the definition and specification of process engineering using the HTRI software. +–What is the objective of HTRI software training ? HTRI software training is designed for process design specialist involved in the definition and specification of process engineering using the HTRI software. The purpose of this class it to raise the level of confidence in those who are currently in a process and process design role or want to become engineering role and those who are about to become a process design engineer. +–Who should attend HTRI software training ? HTRI Xchanger suite is the global leader in process heat transfer and heat exchanger technology, includes components for heat transfer and associated calculations of heat exchangers and fired heaters. HTRI’s calculation methods are backed by 50 years of extensive research and data collected on industrially relevant heat transfer equipment. Based on the results of this ongoing effort, we update our methods to meet your evolving engineering needs. Design, rate, and simulate virtually any type of shell-and-tube exchanger including kettles, hairpins, thermosiphons, reflux condensers, and falling film evaporators. Xist supports all standard TEMA exchanger types, and includes integrated tools for flow-induced vibration calculations and tube layout design. Design, rate, and simulate air coolers and economizers including natural draft (fans off) and forced draft conditions. Xace includes vendor fan selection calculations and options to simulate the effect of flow and temperature maldistribution. Simulate the performance of cylindrical and box heaters. Xfh uses a Hottel zoning method to calculate localized radiant and process side performance. 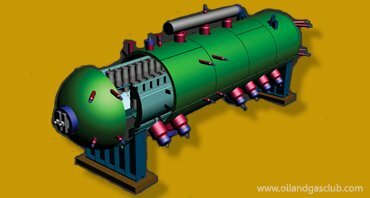 Additional combustion and convection section modules allow evaluation of a complete process fired heater. Simulate and design multi-stream axial and cross flow plate-fin exchangers using an incremental model with research-based heat transfer and pressure drop correlations. Xpfe contains graphical layout tools that make even complex stream arrangements easy to create. Design, rate, and simulate plate-and-frame exchangers using user-defined plate types or plates selected from an internal manufacturers’ databank. Xphe contains a port maldistribution model that calculates the flow through each plate channel. Rate and simulate single-phase spiral plate exchangers using an incremental model with HTRI-validated heat transfer and pressure drop correlations. Xspe models cocurrent and countercurrent spiral flow (Type I exchangers). Calculate flow-induced vibration for a tube in a shell-and-tube exchanger using a rigorous finite element based algorithm. Xvib considers fluidelastic instability and vortex shedding mechanisms for both plain and U-tubes. Improve your HTRI software knowledge and skills taught by our industry experts. You can get a world class training and best practical session from oilandgasclub in both online and direct mode. Enroll today. ▸▾What is HTRI software ? Heat Transfer Research, Inc (HTRI) is an organization that works in process heat transfer technology. HTRI has been performing research both theoretical and experimental to better understand heat transfer and fluid flow. HTRI has been marketing HTRI Xchanger suite software, has been assisting the process engineers and others to perform thermal calculations of heat exchangers. ▸▾Who are the HTRI software course trainers ? Our trainer has over 7 years of experience in process design area. He having through knowledge of shell and tube exchangers – air cooled exchangers – plate and frame exchangers – fired heaters and very strong HTRI tool knowledge – hysys – simulation environment – safety environment – specialized operation like pipeline, hydrate, depressurization, line sizing, vessel sizing, PRD sizing and column sizing – building a model like oil separation and storage, hydrocarbon dew point control unit and documentation etc. Previously, he has done B.E (chemical engineering). He is also lead consultant. ▸▾Pay-scale of Heat Exchanger Design Engineer ?